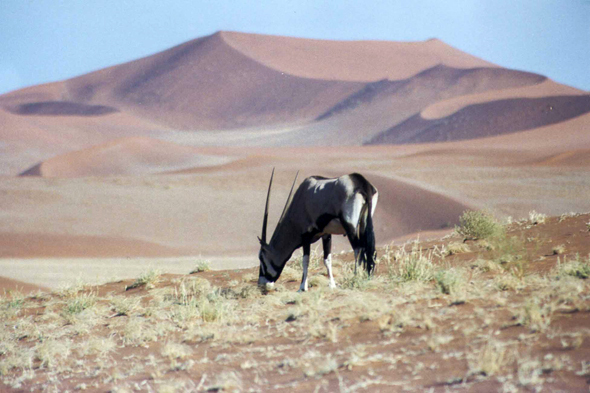 Dunes of Sossusvlei. One meets there gemsboks and ostriches at any time of the year. But during the summer months, following strong rains, the red dunes are reflected in a peaceful pond, where frolic about a multitude of water birds.